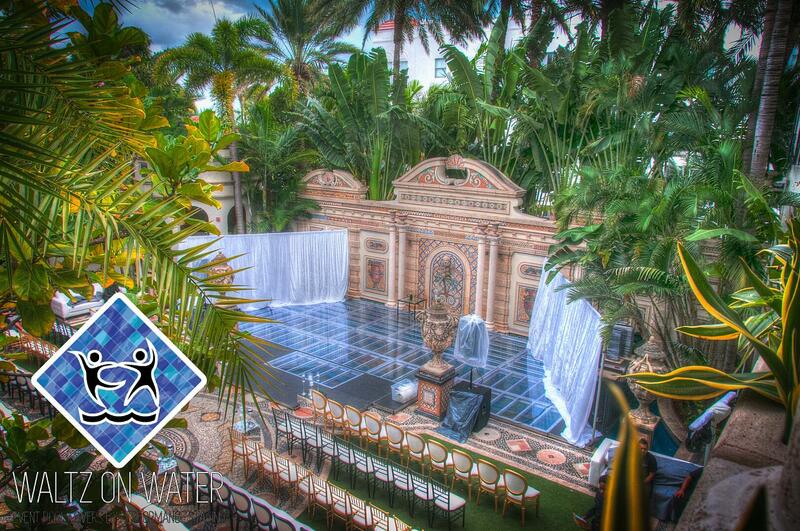 This eye catching pool cover we installed at the former Versace Mansion, Villa Casa Casuarina is great for country clubs, hotels, and other venues that hold corporate events that are usually confined to the everyday banquet hall. Why not take them to the great outdoors? And why not make your next event so special that everyone will be talking about it years later? Expand your space and take a step outside the norm to see how we can transform your daytime swimming pool into a ballroom under the stars! Interested in learning more? 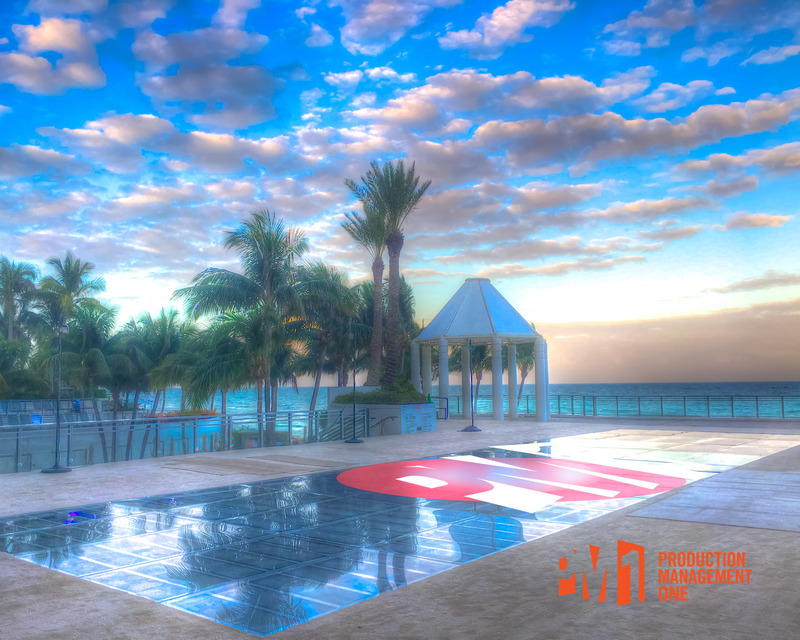 Check out our Pool Cover Product Page for design examples and specs. Download our Beginner's Guide to Covering Your Pool for even more info. For our best photos, check out our separate web site for our entire Waltz On Water brand. Ready for a no-stress, no-hassle consultation?